Two Tickets For...: Around The Web: "Monsters University" trailer, "Finding Nemo 2" casting news, "Argo" Blu-ray feature, & cool Oscars posters! Around The Web: "Monsters University" trailer, "Finding Nemo 2" casting news, "Argo" Blu-ray feature, & cool Oscars posters! Andrew: Hello readers! Once again Sarah and I have rounded up some of the new, best and/or cooler things that we've seen around the worldwide web the past week to share with y'all. So let's get right to it! A: Yesterday found the online release of the first full-length trailer for Monsters University, the prequel to Pixar's 2001 hit Monsters, Inc. It's actually the international version of trailer (from Great Britain to be exact) so it's different than what we'll probably see Stateside in the near future, but take a look and we'll hit up our thoughts on it afterwards! A: Personally I'm a little divided after watching this trailer. Sarah knows this, but Monsters, Inc. isn't one of my favorite Pixar movies, and in fact ranks in the bottom half of my personal Pixar film rankings, but the original is still funny and enjoyable enough to watch even now. But this trailer just fell flat for me. 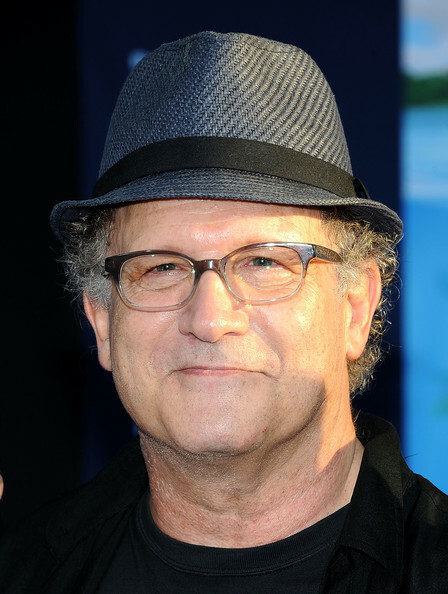 It was nice to hear Billy Crystal and John Goodman's voices in the roles of Mike Wazowski and Sully again, but you can definitely tell they've aged by a decade because they just don't sound the same. What do you think of the trailer, Sarah? S: I agree that they sound like they have aged but if they had gotten anyone else to do the voices, I think it could have been a disaster. I, on the other hand, really enjoyed Monsters, Inc. so I was excited to hear that they were making another one! However, I wasn't expecting a prequel. I think that it promises to have lots of laughs but I had really wanted to see what Sully finds when he opens the door at the end of Monsters, Inc.! A: Pixar had made it known a while back that they were going to make a sequel to their 2003 hit Finding Nemo, and that they already had director Andrew Stanton coming back to direct the new one (not too surprising even after John Carter bombed) and more importantly that Ellen DeGeneres was also coming back to voice Dori again. 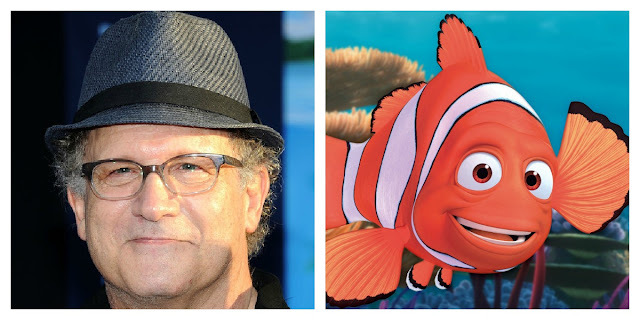 But today it was announced that Albert Brooks is officially signed on to reprise his role as Marlin, the father clown fish. Finding Nemo is my second favorite Pixar movie, but while I'm glad they're able to get Brooks and DeGeneres back, this is another example of me wondering if this film is necessary. (Where's Nemo disappear to this time? And WHY won't Pixar make a sequel to The Incredibles???) 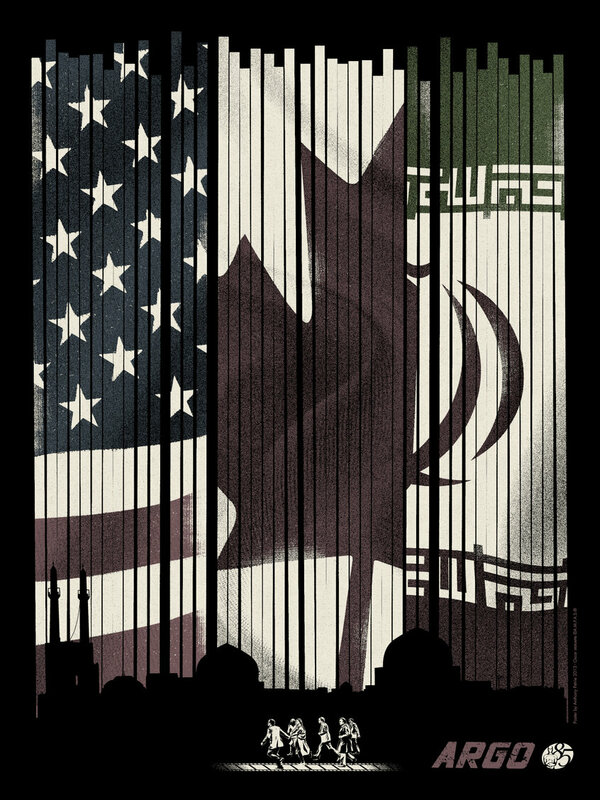 What do you think about it Sarah? S: Yeah I don't know where they will go with this one. Once again, I appreciate that they were able to get the voices back because without them it really would be a disaster. In animated movies it's all about the voices! I'm not sure that a sequel to a movie where things were so nicely wrapped up is necessary. I loved Finding Nemo. Seriously, it's so relaxing to watch too! Like a giant fish tank on our screen, but I have to agree with you, Andrew, not necessary. Who knows though! It could be awesome! A: As we'll start digging into later this week, the Academy Awards are practically right around the corner on Sunday, February 24th. And if you've been paying attention to the different awards shows, you might know that Ben Affleck's taut political thriller Argo is the front-runner for Best Picture. We're pretty excited for Argo to come out on Blu-ray and DVD next week, but for those interested (like us) Warner Bros. has already released a 28 minute feature from the Blu-ray on how they made the movie. Check it out below! A: As some of you readers may or may not know, our little blog here is proud to be Member #1333 of a movie blog community called the Large Association of Movie Blogs, or The LAMB for short. And for the past month and the next couple of weeks leading up to the 85th Academy Awards, our fellow Lambs have been submitting articles for a feature called The Lambs Devour The Oscars, spearheaded by Never Too Early Movie Predictions, where different Lambs tackle the different categories and the individual Best Picture nominees. There have been some fantastic takes on the categories from our friends and fellow bloggers, and eventually the posts Sarah and I each wrote about the Best Supporting Actor category will be posted, but for now we highly suggest taking a look at the different posts from the different bloggers as a nice primer for the actual awards! But even cooler yet is that the Academy and an art gallery called Gallery1988 commissioned a bunch of young artists to make unique one-sheets for all the Best Picture nominees, a collection titled "For Your Consideration." 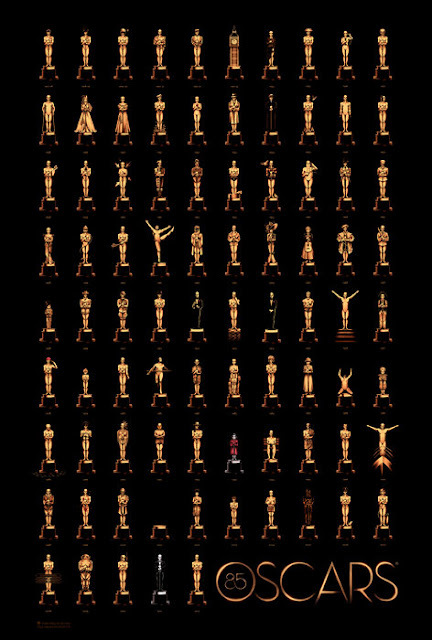 They're all quite neat and you can look at all of them, too, at the Oscars official page. 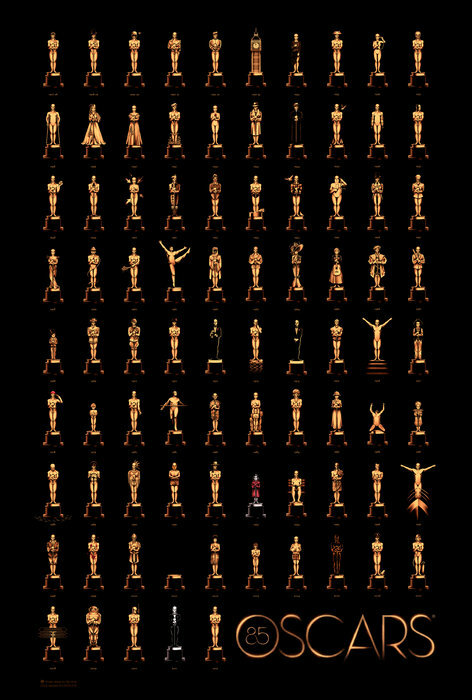 But we've posted a few of our favorites below (under the 85th Oscars poster) to give you an idea of what they look like. 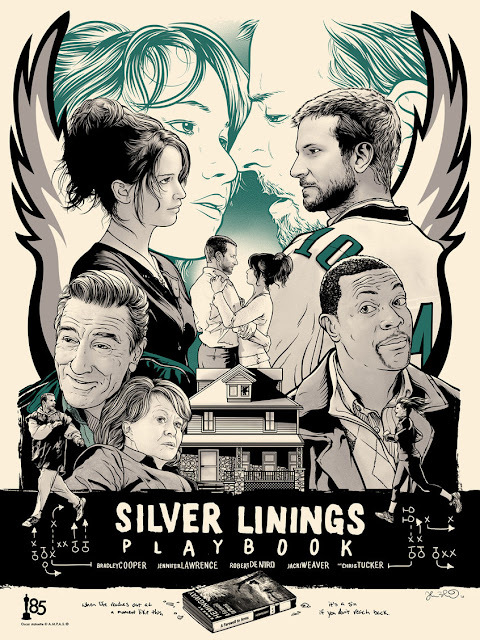 A: Of the "For Your Consideration" posters, my two favorite are the ones for Argo and Silver Linings Playbook. It may happen to be that they're also the two movies I'm rooting for the win Best Picture, but I think it's more like they're the two I'd like to have hanging from our Man Cave wall. Why did you pick the two you picked, Sarah? S: So these posters are pretty sweet. I love seeing how creative artists get when they have different ways to interpret films! I loved the Life of Pi one, even though I really didn't like the movie. But this picture perfectly encapsulates the feel of the movie. The bright colors and inclusion of all the "characters" was brilliant. I also love the nod to 3.14 at the top. I love the Django Unchained one because of the colors and depth of it. I love that her face is in the mountain accentuating that she is the ultimate goal for our weary travelers. I also like the fact that it looks like a photo as well as a drawing. I know that might be confusing but it makes sense in my mind. A: Wow, I hadn't even noticed that the face of Kerry Washington's Broomhilda was in the mountains until you mentioned it. Great eye! Alright, readers, hope you enjoyed these things as much as we did and keep coming back. But more importantly we're headed back to the theatre tonight to catch a screening of the upcoming comedy 21 and Over so be on the lookout for that review this week, and for a new Six Pack Of... where we tackle romance movies to watch on Valentine's Day! Thanks for reading!